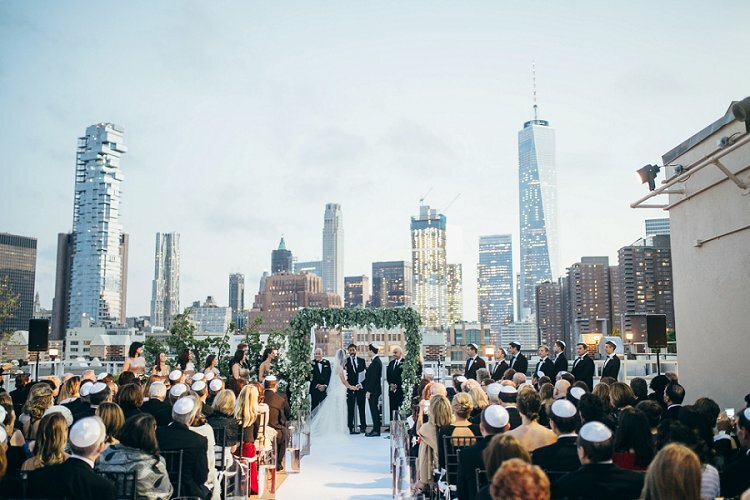 Hold on to your kippot, everybody (and if you’re not wearing a kippah, just brace yourself) because we are telling you now, it does not get much more awesome than a chuppah overlooking the iconic New York skyline! No, seriously, look at it. 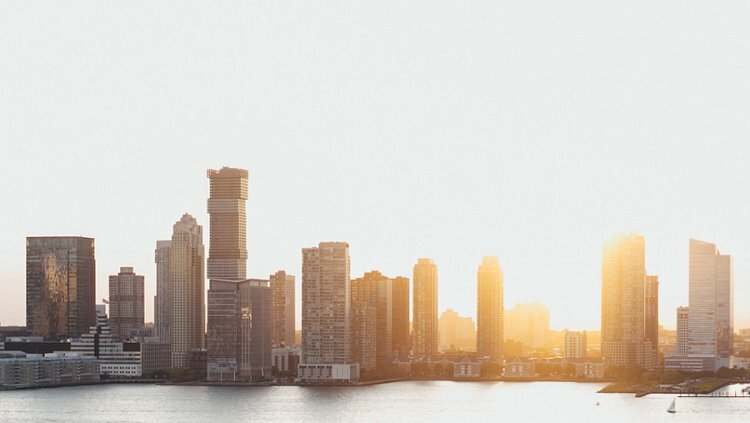 What would you give to teleport into that sensational and stunning scene at the legendary Tribeca Rooftop? Actually, you almost can, by watching Tweed Video‘s cinematic story of the day below. 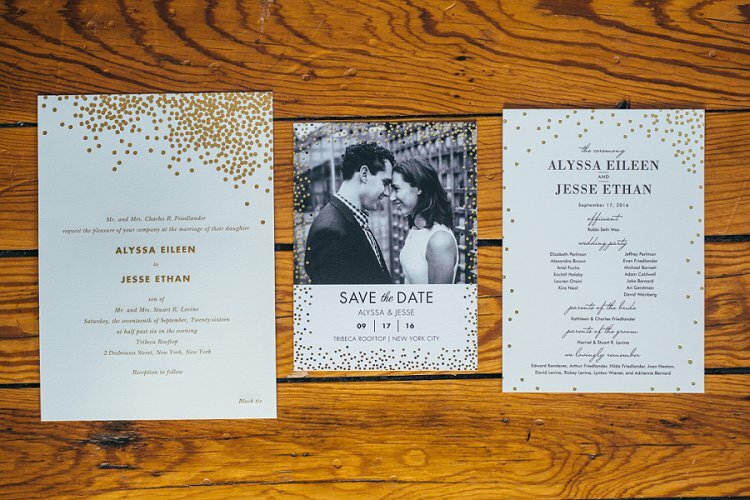 Alyssa and Jesse’s Big Apple big day was the dictionary definition of sophisticated. We can throw so many other adjectives its way: glamorous, contemporary, heartfelt, chic… it was genuinely packed with more good things than the thesaurus can handle. 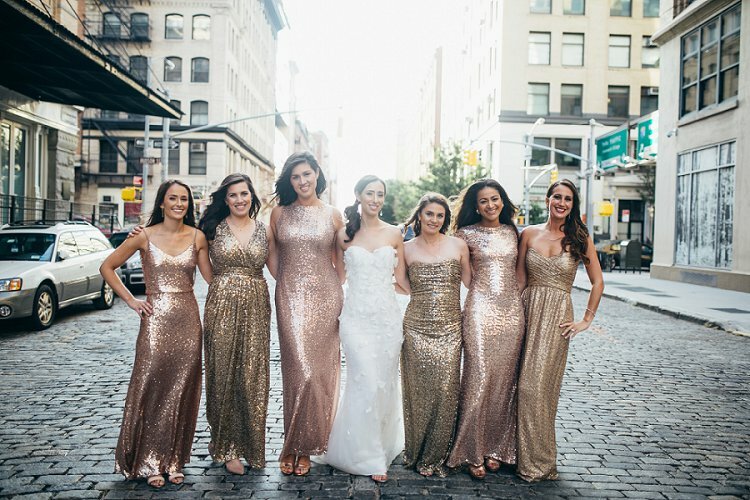 Alyssa, a management consultant, and Jesse, a lawyer, opted for a black-tie theme, accented with gorgeous metallics (those bridesmaid dresses!! ), and leafy, luscious floral arrangements. 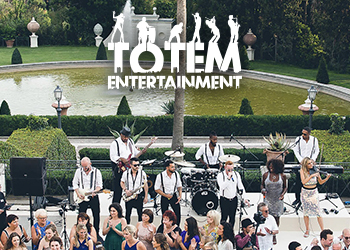 The theme was brought together with spectacular results by our dear STG Vendor, wedding planner Josà© Rolà³n Events. 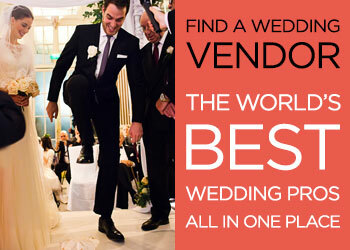 In a wedding packed with STG Vendors, Paper Source also made a notable appearance. Every detail was caught on camera by phenomenal photographer, Christian Gideon Photography. 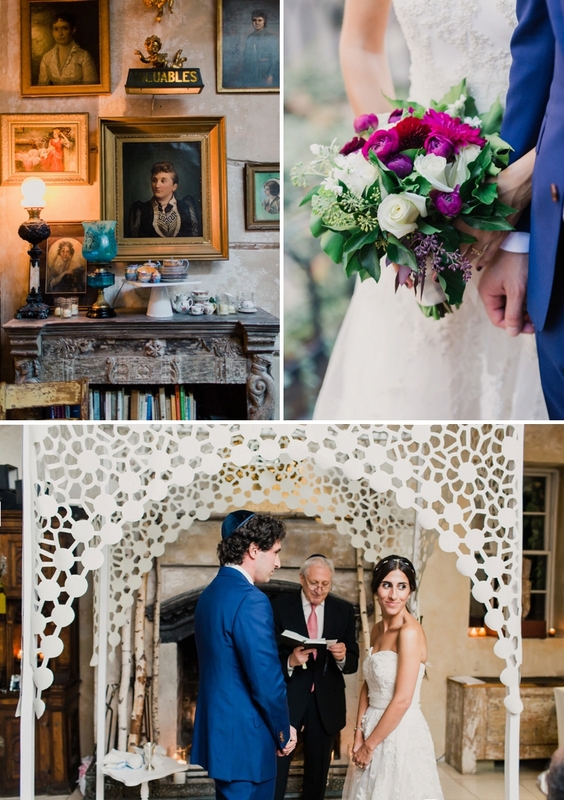 There are so many amazing ideas packed into this very special wedding, from the heartstring-tugging wording of the gorgeous ketubah (so much inspiration there), designed by our incredible STG Recommended Vendor, Ink with Intent, to the meditation during the ceremony. From Alyssa’s amazing Austin Scarlett dress to doughnuts for favors (yes. please.). 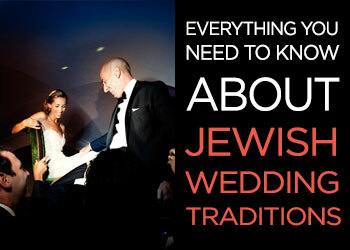 That’s quite enough gushing from us – over to the wonderfully articulate Alyssa for all the big-day gossip! 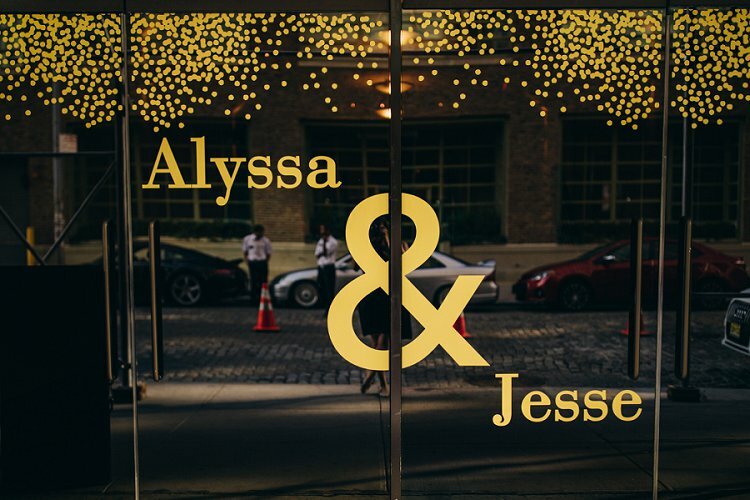 Alyssa, the bride: We were married at Tribeca Rooftop in NYC. We choose the venue because it had the capacity for the number of guests we planned to invite, flexibility to accommodate guests on the roof and indoors, capability to provide great food to a large group of people with on-site kitchen and chef, and an amazing view of the NYC skyline from the roof and inside with big windows all around. The venue also had an amazing experienced staff, in particular Tracey and Ryan, who were always available to answer any questions. Get ready to gasp! 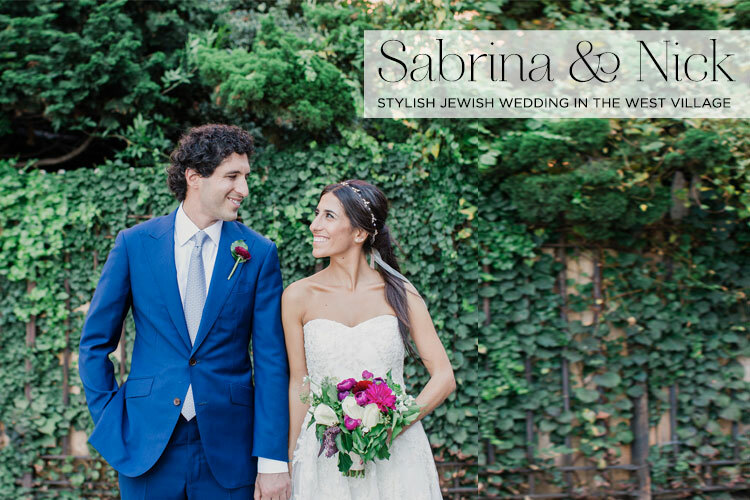 I genuinely struggled to keep my chin off the floor whilst putting this post together as Sabrina and Nick’s Jewish wedding just exudes SO much style and originality. 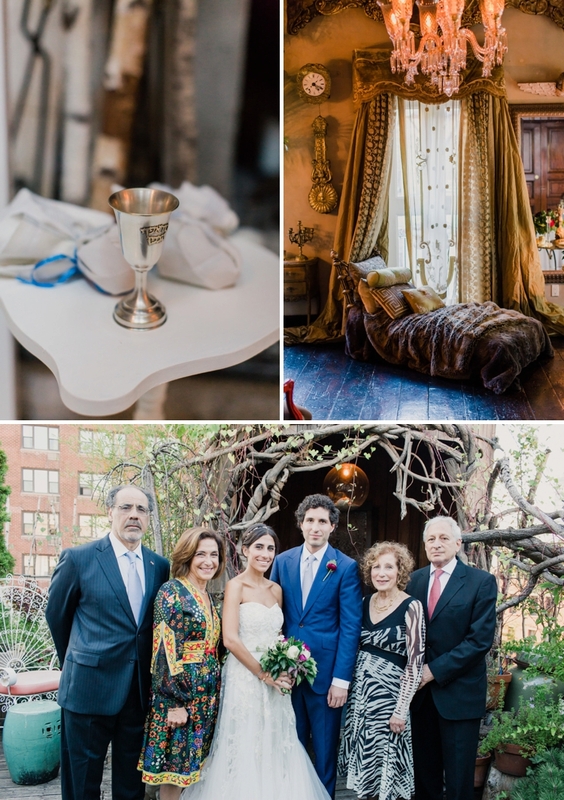 For starters their choice of venue is 632 on Hudson — a private home in the West Village and an artful renovation of an 1847 townhouse. 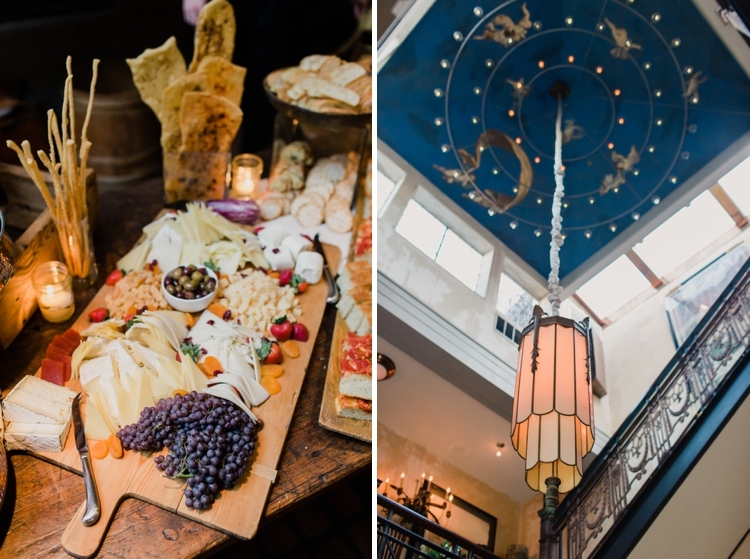 By combining the best of several eras, the venue literally sparkles with style and imagination and makes for an astonishing ceremony backdrop — certainly one of the most original I’ve ever seen. 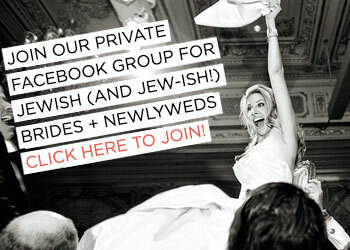 The ceremony took place in the 40-foot Atrium (topped with an Italian Renaissance ceiling) with their guests lining the spiral staircase, looking down through the cleverly designed chuppah by Chuppah Studio. There is so much to swoon over and take in, including of course our utterly adorable bride and groom who look super stylish in their attire (Sabrina in breathtaking Reem Acra, Nick in bespoke Doyle Mueser). There are some genius (but brilliantly simple) favours, fabulous jewel-coloured flowers, and the sleekest letterpress stationery with a wonderful melding of elegance and pizzazz. 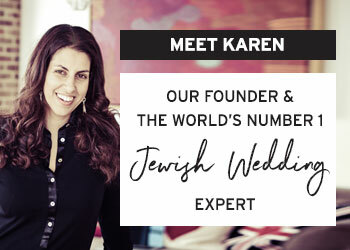 There’s also a generous helping of advice by French-American Sabrina in her brilliant wedding report, in particular where she talks about the importance of finding chemistry with your vendors. On another note I just have to single out this line of Sabrina describing how she wanted her make up to look: ‘I just wanted to look like myself, but slightly Photoshopped!”. Love it! Mademoiselle Fiona has captured each and every moment to sheer perfection and she just may have taken the best group shot in the history of Smashing The Glass. This wedding is definitely one to be bookmarked so you can enjoy swooning over it time and time again. I know I will be! Sabrina, the Bride: Nick and I met in college when we were 18 but didn’t start dating until after graduation when we moved to Bangkok together to teach English for a year. He was certainly more gifted than I was as a teacher but you get to know someone really well when you’re living in a country 5000miles away and don’t speak the language.